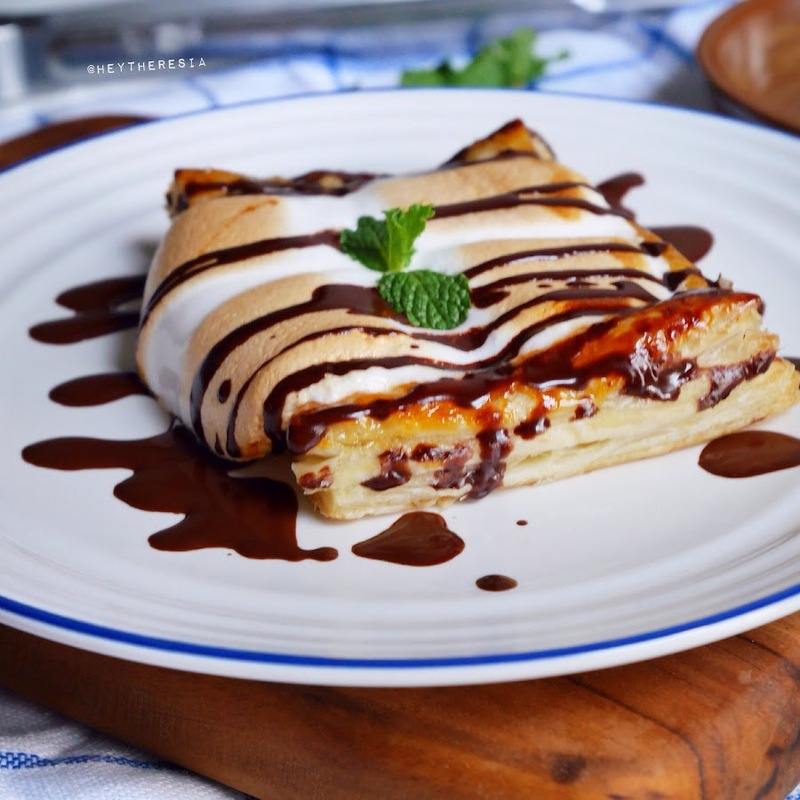 I am not sure if I need to write down recipe for this dish because it's actually only puff pastry stuffed with marshmallow and drizzled with chocolate sauce. This is really one of my best idea, well.. for me it's great enough, as I get more than 1000 likes on Instagram shortly when posting video the making of this sweet dish. 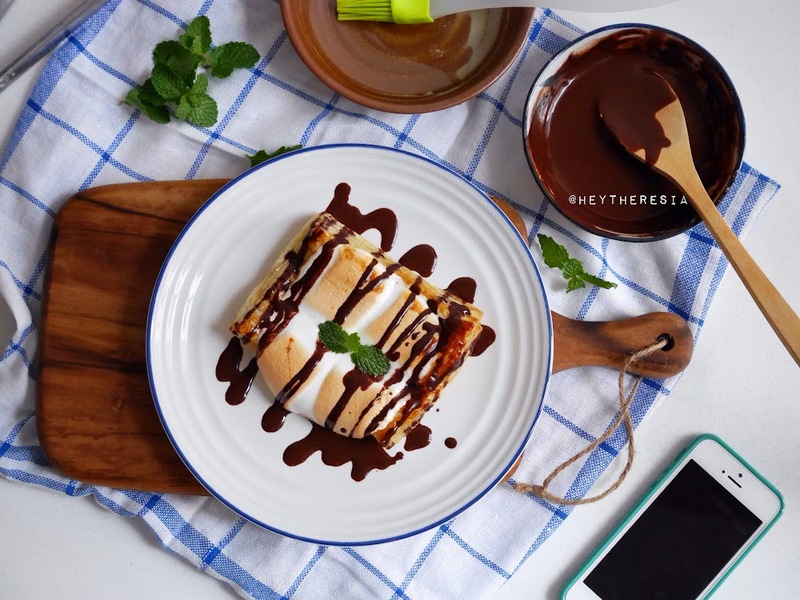 Check out the video how to make Marshmallow Stuffed Puff Pastry. I hate egg wash, seriously whenever I bake my own pastry I always leave the egg wash and replace it with brushing some coconut nectar, or any other liquid sweetener. Note that brush when it's about done because it get burnt easily.